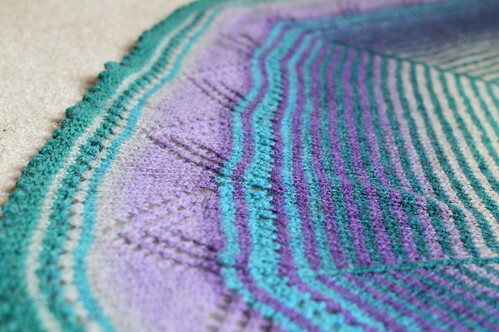 We’re back with a fun post about my friend Marseille’s knitting and this time it’s a striped shawl! 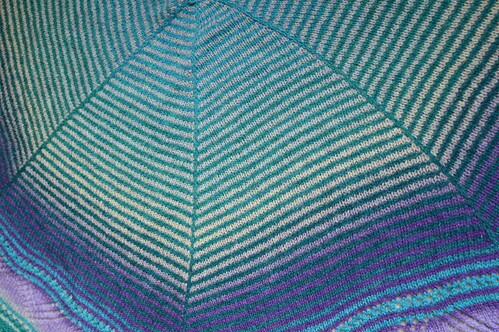 The pattern is My Wish by Laura Linneman from La La’s Knits and she knit it with Kauni Wool 8/2 Effektgarn on 4.5mm (7US) knitting needles. 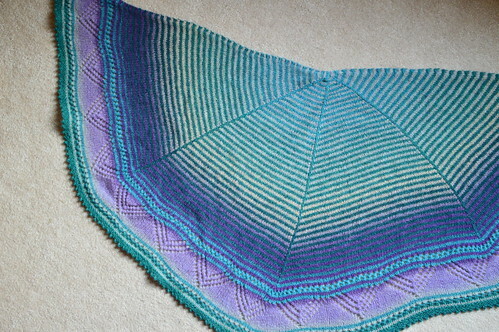 The entire shawl took her less than a month’s time to knit. Though tempted to rewind the Kauni wool, she found it too sticky to bother. Since sticky meant it wouldn’t unravel and a loose cake isn’t the end of the world with a yarn that has good Fair Isle characteristics. The yarn itself was rich with lanolin. 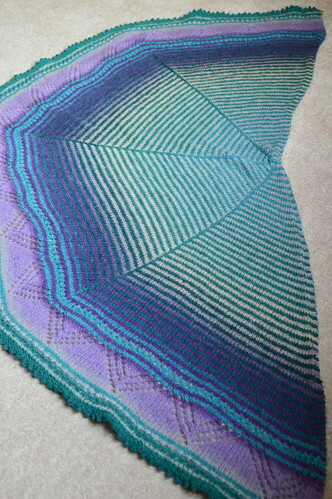 One final look at the entire shawl. Wish I had put something in this photo for scale, but if it helps, that is a dining chair leg in the bottom right there. Don’t you just love the stripes?! Which is your favorite part? I love the moments when the teal and violet-blue meet. 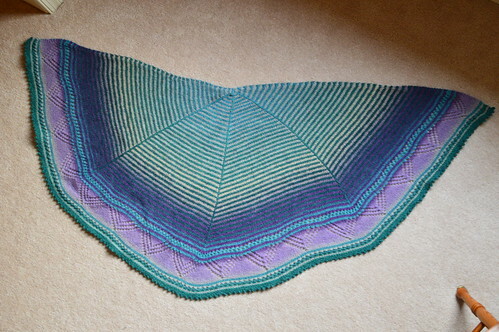 This entry was posted in Knit Shawls & Wraps, Knitting | Crochet and tagged Marseille.